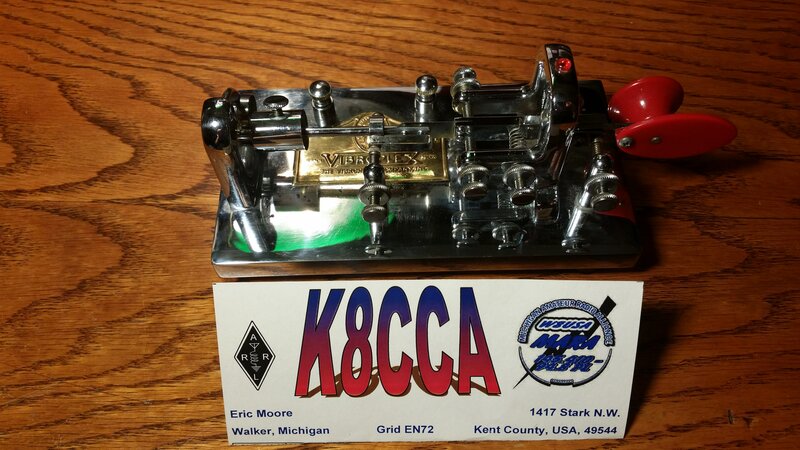 Discussion in 'Ham Radio Gear For Sale' started by K8CCA, Apr 17, 2018. 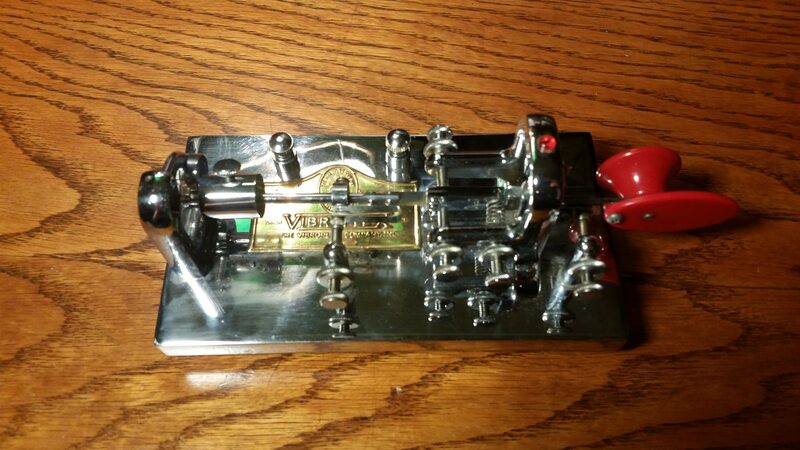 Selling a Vibroplex Deluxe bug Not sure how old it is serial number is 50631. It's in pretty good shape. 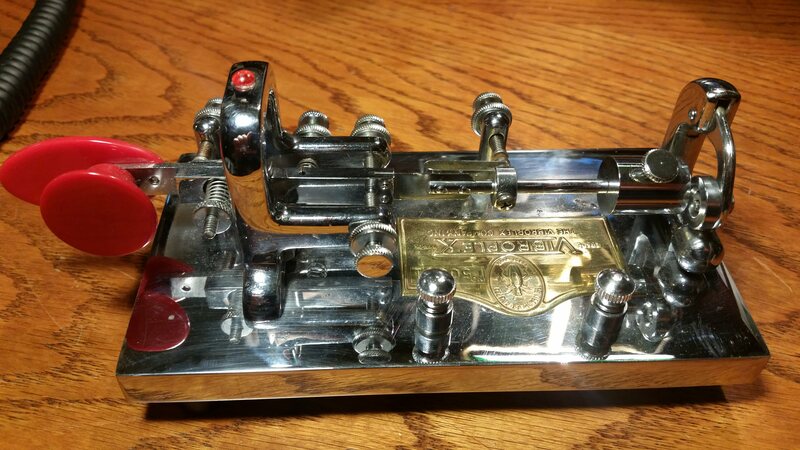 Has a little bit of corrosion under the chrome plating as shown in pictures, but works great, too good in fact, I can't operate that fast, so I am going to stick with my old brass racer. I got it a few years ago to use with my boat anchors (also selling see other ad) and just never got the hang of it, so I figure I will let it go. 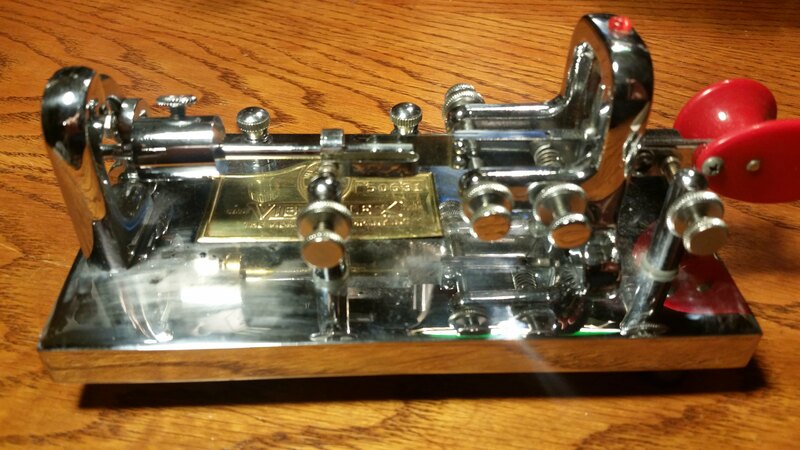 $125 shipped in the USA.